A Bangladeshi plan to relocate 100,000 Rohingya refugees from crowded mainland camps to an island in the Bay of Bengal was deemed unrealistic by a senior UN official on Thursday. “I don’t really think it’ll be realistic that the island will be a solution,” George Okoth-Obbo, the UN refugee agency’s assistant high commissioner for operations, told reporters in Dhaka on Thursday. The UN and other aid agencies want to see what facilities are being put in place on the island ahead of the planned relocation, he said. “We are interested to know full range of things,” Okoth-Obbo added. 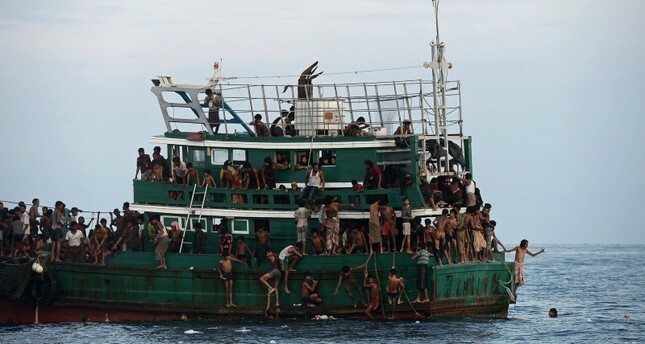 Dhaka has planned to relocate 100,000 of the Rohingya Muslims to Bhashan Char island in the Bay of Bengal by the end of July. Aid agencies have criticized the government move, saying many parts of the island, which surfaced only in 2009, go under water during the high tide. They also argued the island, which requires two hours to reach by engine boat from the mainland, will be a dangerous place to live, as it may by hit by cyclones and floods during the monsoon. Okoth-Obbo, who arrived in Bangladesh on Sunday and visited the refugee settlements in the south-eastern district of Cox’s Bazaar, put more emphasis on finding a place to relocate 200,000 people in the existing camps who are vulnerable to cyclones and landslides. “We remain extremely concerned, though there has been considerable work that has been done,” he said.